Location Advice - California Businesses: Commercial Real Estate is a SOCIAL Business - Or is it? Commercial Real Estate is a SOCIAL Business - Or is it? 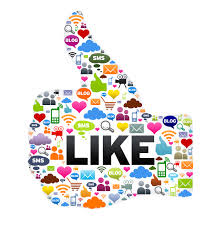 My industry is in the proverbial dark ages when it comes to marketing through social media! Compared to our residential counterparts - who kill it with social media - we limp along under the illusion that "social" just isn't for folks who own or lease commercial real estate. Wow, how wrong we are! So why are we so 80's you may ask? In no particular order, here are some of the reasons. Age plays a part. The average age of a commercial real estate broker is 57. Crowded with gray haired men, commercial real estate sales evolved from predominantly family owned brokerages with names such as Daum, Cushman, Collins, Lee, Ashwill, Burke, and others. As the majority of business in the old days was fostered via relationships and referrals - and somewhat stuffily, BTW - the old generation of commercial real estate brokers farmed new opportunities on the golf course, the bar or the steak house. You called, mailed, or placed an ad when you had a new listing. If you used a computer in the eighties and nineties, you were the source of water cooler humor - as no leads will come out of that machine young man - you get out there and cold call! Industry bias toward technology has now traveled a couple of generations to present day practice. Many new agents are trained the same way we were in the eighties - get out there and make relationships! We approach it wrong. Social media marketing isn't like taking an ad in the Orange County Register - although many approach it that way. The Register has a broad circulation and appeals to those in the market for goods and services. If you are shopping for commercial real estate, great! You see the ad, call the broker, make a deal, done! Consequently, when Facebook, Twitter, Linked In, YouTube, Instagram came along we pushed our same old message of "here is my listing - buy my stuff." Missed in this method is the way folks transact these days. Sure, there are still buyers who are in the market, see an ad, and buy. Most, however, search the web for informational content - such as "how-to" articles, videos, or images and are pulled toward a service provider. If you are the agent providing the "help" you are sought as the expert. Critically important is this digital footprint so you can be found on-line. When will it change. Given the nature of our business - maybe never. Commercial real estate is largely relational and our transactions are tough to standardize. However, as one who's used social medial content quite effectively to meet new prospects and close deals, I believe the current generation will adopt strategies to use social media marketing the right way. Just remember, like face to face networking, social takes time and places an emphasis on gaining through giving. Seller Won't Close - Now What? Is YOUR Commercial Real Estate Buyer FOR REAL?